Josh McCown is firmly entrenched as the starting quarterback in Cleveland, to the extent that Johnny Manziel, a first-round pick of the Browns last year, appears to be largely an afterthought at Organized Team Activities. After reporting on the first week of OTAs, Tony Grossi of ESPN Cleveland describes Manziel as “a fish out of water” in the offense the Browns are installing. Grossi writes that the Browns don’t seem to be developing Manziel so much as they’re moving on from him. At the practice the media were allowed to watch, Manziel seemed to eager to run and not confident enough in his passing. And Grossi reports that one source who witnessed another practice says Manziel was actually even worse in a session that the media didn’t see. The bottom line is that 13 months after he was drafted, Manziel still hasn’t done anything to make the Browns think he’s ever going to be their franchise quarterback. McCown is the starter for now, and someone else will probably need to be found to be the long-term answer in the future. When Eagles head coach Chip Kelly and now-Bills tailback LeSean McCoy next have a conversation, they figure to have some things to discuss. But to hear it from Kelly, that talk hasn’t happened yet. At a press conference Thursday at the Eagles’ OTAs, Kelly indicated he had twice contacted McCoy, but the tailback “didn’t accept my call,” per John Gonzalez of CSNPhilly.com. While most relationships between coaches and former players don’t draw much public attention, this one is different. In an interview with ESPN The Magazine published in May, McCoy suggested race might have had a hand in some of Kelly’s roster decisions. 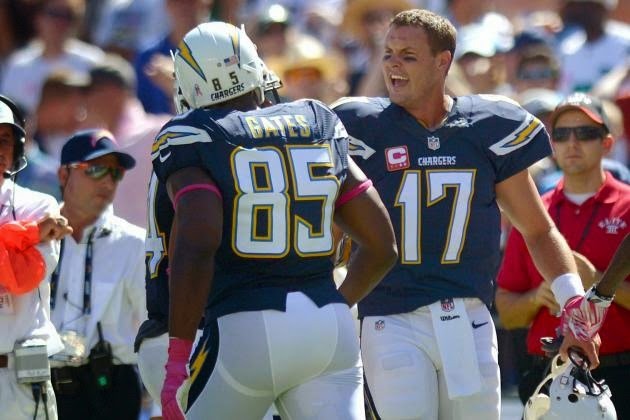 “The relationship was never really great,” McCoy said of Kelly, per ESPN. “I feel like I always respected him as a coach. I think that’s the way he runs his team. He wants the full control. 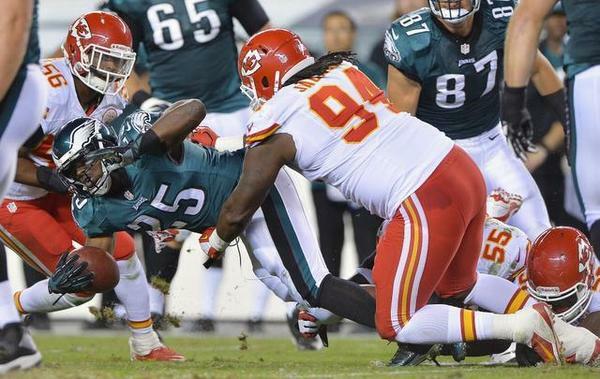 On Thursday, Kelly said he disagreed with McCoy’s contentions regarding race and personnel. The question now is whether the two men will get together to try and make this right. Some things are just bigger than OTAs. Vikings running back Adrian Peterson, who is staying away from the team’s practices, will make his first extended public appearance next month. What’s the occasion? Well, none other than Adrian Peterson Day in his hometown of Palestine, Texas. According to Chris Tomasson of the St. Paul Pioneer Press, Peterson is expected to attend the June 13 shindig, which has been held each year since 2007. 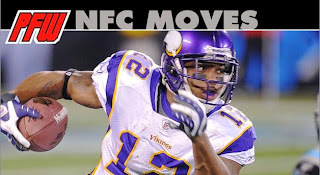 Peterson’s not busy with OTAs, as he’s still exerting whatever leverage he has (not much) to get loose from the Vikings. But they’ve got no real reason to let him go, and don’t seem particularly interested in doing so. So it might be worth checking out the parade at Adrian Peterson Day, just to see who sponsors a float. 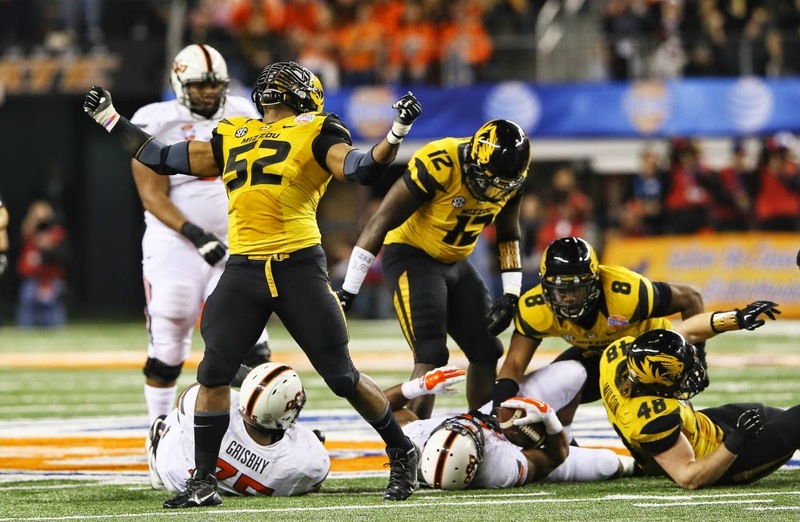 Michael Sam, the first openly gay player to be drafted in the NFL, is now poised to become the first openly gay player in the CFL, as he has signed with the Montreal Alouettes. But Sam doesn’t want to be known as Canada’s gay football player. Sam said today that he only wants to be known as a football player, and he’s eager to get on the field with his team. Sam acknowledged that his preferred choice would have been to make it in the NFL, but when he realized that wasn’t in the cards he started talking to Alouettes General Manager Jim Popp, and got excited about the possibility of playing in Canada. “I decided to come to Canada when I figured I wasn’t going to be in an NFL camp. Montreal had my rights, we’ve been negotiating with Jim Popp, and now here I am,” Sam said. Sam should be on the field in his first regular-season game in less than a month, as the Alouettes open the season at Ottawa on June 25. Deflategate has taken a lot out of Tom Brady’s reputation across most of America. But in New England, Brady is as beloved as ever. In fact, the extent to which some in New England are rallying around Brady has reached new highs — or lows, depending on your perspective. We now have the late Patricia Shong of Auburn, Massachusetts, who passed away on Monday at the age of 72. Shong’s obituary ran in the local paper and told the story of her life, her family, her career and her favorite activities. And then it included a line about Shong’s continuing support of Brady. “She would also like us to set the record straight for her: Brady is innocent! !” the obituary says. That’s a popular sentiment in New England. But this is the first time we’ve heard it expressed from beyond the grave. 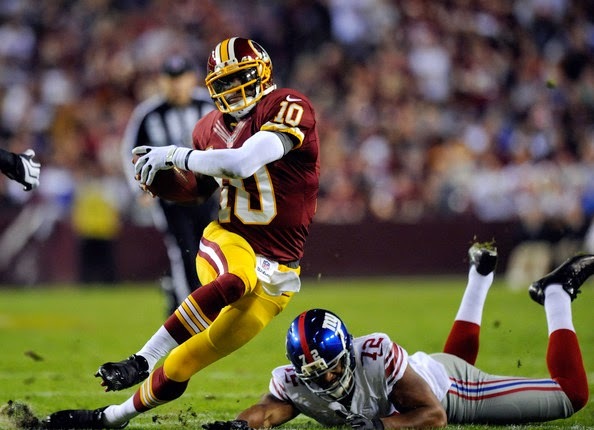 When Robert Griffin III landed in the NFL in 2012, the Redskins closed the regular season with seven straight wins to take the NFC East and advance to the playoffs. Griffin missed one of those games with a knee injury, which served as a preview of the more serious knee injury he’d suffer in the playoff loss to the Seahawks. Griffin rehabbed through the next offseason and then struggled in 2013 in an offense that was designed to limit Griffin’s runs in hopes of having him develop into a more traditional quarterback. It didn’t happen, which led to squabbling with Mike Shanahan before Shanahan was fired as the team’s head coach. Griffin had another serious injury last year and continued to struggle in Jay Gruden’s offense, but Shanahan doesn’t think the injuries have been the quarterback’s problem. No one who has watched Griffin the last two years would argue that he looks as comfortable in the offense as he did as a rookie, although you have to wonder why the Redskins made such a big play for Griffin if they weren’t willing to give him that time or run an offense more suited to his needs. The answer to the latter is largely because of the injury risk involved with running a smaller quarterback repeatedly against NFL defenses, but the failure to do the former may lead to the end of Griffin’s time in Washington without much to show for the investment they made in him. The Chargers have looked into sharing a stadium with the Raiders in Carson. They’ve bought land. They have Carmen Policy working on the behalf of the stadium they might move into. But team chairman Dean Spanos keeps saying he wants to stay in San Diego, even though he hadn’t seen the mayor’s advisory group’s proposal prior to leaving the owners meetings yesterday. Spanos said he was going to look at the plan when he returned, and he may have already. But the clock is ticking, especially with momentum building to have a team in Los Angeles by 2016. Owners heard proposals from both L.A. stadium groups, as well as from potential movers the Chargers, Rams and Raiders. That’s not even a thinly veiled threat, for a guy with all the cards, and the possibility of a new stadium for a team that has been looking for one for years. Raiders quarterback Derek Carr didn’t join his teammates on the practice field Tuesday with an injury that Raiders coach Jack Del Rio didn’t seemed overly concerned about when he spoke to the media. Del Rio didn’t disclose what was bothering Carr, but Chris Mortensen of ESPN reports that it is a right ring finger injury. Mortensen reports that surgery is a possibility and that Carr may miss the remainder of the team’s organized team activities, but that the team is optimistic he’ll be fine in time for training camp. Carr started all 16 games last season and he’s going to be the starter again this year even whether he practices at all before camp. He’ll miss time to smooth out the rough edges in his game and develop on-field chemistry with teammates, but the Raiders would rather have him miss that time than take a risk of endangering the season. Until Carr’s back on the field, Christian Ponder, Matt McGloin and Cody Fajardo will be doing the quarterbacking for the Raiders. Forget spending the next three months competing for the Bills’ starting quarterback job. 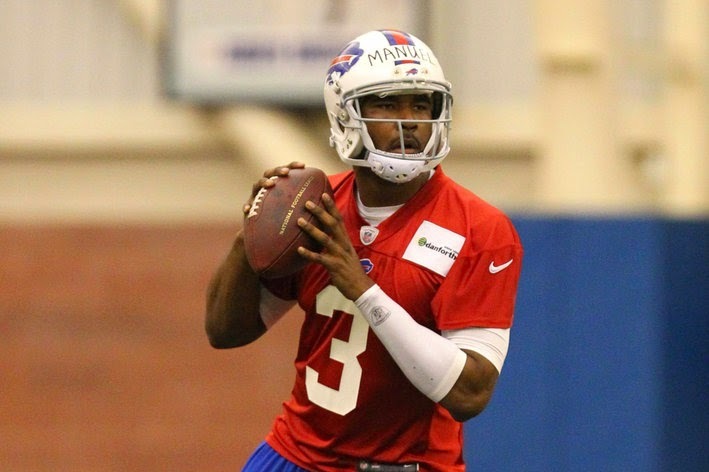 EJ Manuel needs to perform well over the next three months to have any job at all. That’s the word from Joe Buscaglia of WKBW in Buffalo, who reports that Manuel may be done in Buffalo at the end of training camp. Buscaglia reports that the Bills would cut Manuel if they don’t see “serious progress” this spring and summer. It seems awfully unlikely that the Bills would cut Manuel just two years after spending a first-round draft pick on him. Manuel’s contract is fully guaranteed, meaning the Bills are going to pay him the $2.8 million they still owe him for the next two years whether he’s on the team or not. In fact, his cap hit for 2015 would actually increase if the Bills cut him this year. And the Bills, who made a lot of expensive moves this offseason, only have about $7 million in cap space left. For the Bills to cut Manuel, they’d have to conclude not only that he’s not good enough to beat out Matt Cassel to be the starter, but also that he’s not good enough to beat out Tyrod Taylor and Jeff Tuel to be the backups. And they’d have to conclude that Manuel is so bad that they’d rather pay him not to be on the roster at all than pay him to stand on the sideline holding a clipboard. If there’s really a chance of that, Manuel must look even worse behind closed doors than he looks on the field. It’s been more than a few years since Steve Spagnuolo was the second-year head coach in St. Louis working with rookie quarterback Sam Bradford, but Spagnuolo’s opinion of Bradford’s ability hasn’t changed since then. Spagnuolo thought Bradford was as impressive a quarterback prospect as any in recent memory and he said during an interview with 97.5 The Fanatic in Philly this week that he believes Bradford, who now plays for the Eagles, can still play at a high level despite the two torn ACLs that sidetracked his career. Spagnuolo’s put himself in the rare position of being more likely to succeed in his current job if he’s wrong about his ability to evaluate players. Spagnuolo is again the defensive coordinator of the Giants, which means he’ll be facing the Eagles twice this season and his life would be easier if comparing Bradford to some of the league’s best quarterbacks continued to feel like a stretch. Through one year of their partnership, there have been plenty of people who have shared the opinion that Robert Griffin III is a poor fit for what coach Jay Gruden is looking for in a quarterback in Washington. Gruden’s been one of the people dropping hints in that direction, but he’s called Griffin the Redskins’ starter this offseason and said Monday that he’s already seen a positive difference from Griffin when it comes to film study. Gruden expects to see the same kind of growth from Griffin on the field now that he’s more familiar with the scheme. Griffin agreed that things feel different in terms of “knowing what coach wants and growing together” and the Redskins have picked up the quarterback’s option for 2016, something that should create a welcome change for the organization from last year’s constant uncertainty about Griffin’s standing in the organization. That uncertainty probably won’t return since another down year from Griffin will all but seal his fate as the wrong man for Washington’s future, but, for now, the team’s focusing on the positive possibilities for the coming year. 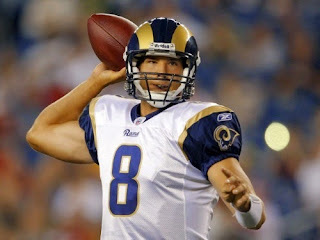 When the draft ended without the Eagles trading Sam Bradford to the Browns, Titans, Alouettes or anyone else, it seemed like a pretty good sign that he’ll be the starting quarterback come September. After all, the Eagles traded Nick Foles and a second-round pick in 2016 for the right to acquire Bradford and pay him just under $13 million for the 2015 season. One person who didn’t read things that way is Mark Sanchez, who re-signed with the Eagles this offseason and “absolutely” thinks that he’s going to have a real chance to compete for the starting job this offseason. 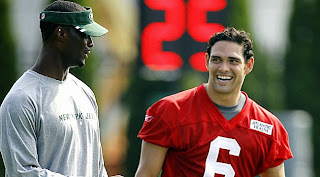 There are echoes of Sanchez’s Jets days to the setup and not just because Tim Tebow is on the Philly roster. Sanchez may well have a chance at the starting job this summer, but not all competitions are created equal. Sanchez should have learned as much through competitions with Tebow, Geno Smith and even Kellen Clemens that were never about giving everyone an equal shot. Paying what the Eagles did to get Bradford doesn’t make too much sense if you weren’t under the impression he was a better quarterback than Sanchez, who had already re-signed with the team when the trade went down. It may not wind up working out that way, but it seems a good bet that Bradford will get plenty of chances to prove he’s the wrong guy. Terrelle Pryor’s tenure with the Chiefs didn’t last long. Pryor, the former Raiders starter, was cut by the Chiefs today. He’s been with the Chiefs since January. The Raiders spent a third-round pick in the 2011 supplemental draft on Pryor after his controversial career at Ohio State was cut short. 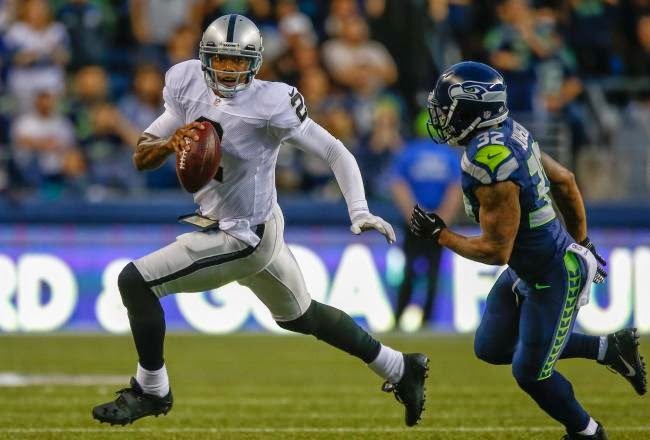 He showed flashes of talent as the Raiders’ top quarterback for most of the 2013 season, but the team ultimately decided he simply wasn’t a good enough passer to make it as an NFL quarterback. He was traded to the Seahawks last year and then cut by Seattle at the end of the preseason. Now that Pryor has been cut again by the Chiefs, he may be nearing the end of the run. Although he’s a gifted athlete who can make things happen with the ball in his hands, his chance with the Chiefs could have been his last chance. 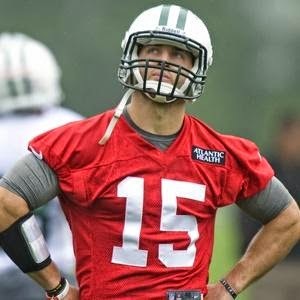 When Eagles quarterback Mark Sanchez was asked last month about Tim Tebow’s role with the team last month, he effectively said Tebow was a spare arm to help them through practice until Sam Bradford was well. 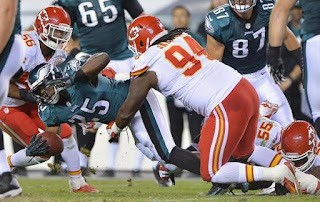 Well, coach Chip Kelly disagrees with that assessment, saying Tebow had as much of a shot as anybody. 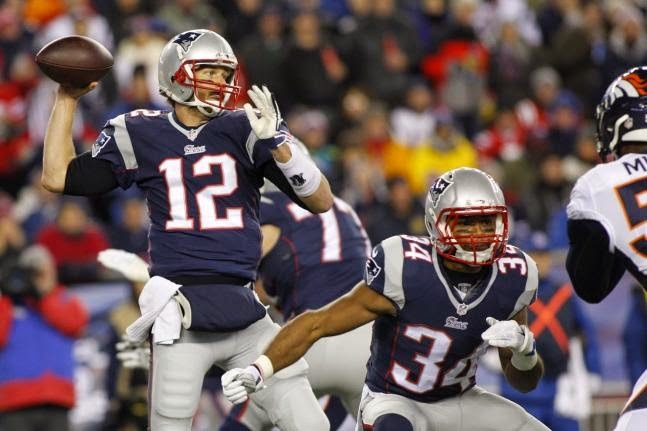 During an appearance on the NFL Network, Kelly dispelled that notion, such that such a notion can be dispelled before players set foot on the field. “No. I think everybody here that we bring to our organization is here to compete for a job. That’s what Timmy is going to do,” Kelly said, via NJ.com. “He’s an unbelievable competitor. . . . While joking with the league-owned network’s talent might have gotten Kelly out of a potentially uncomfortable line of questioning, it doesn’t make the issue go away. And while he clearly didn’t get the quarterback he was hoping for this weekend, Kelly’s going to spend plenty of time on the position moving forward, massaging egos and managing expectations.